This section of our site aims to provide greater detail and knowledge of the equipment, vendors and solutions we as a company provide to our customers and to highlight common issues and concerns from the industry. 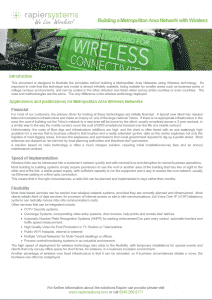 This document is designed to illustrate the principles behind building a Metropolitan Area Network using Wireless technology. It is important to note that this technique and model is almost infinitely scalable, being suitable for smaller areas such as Business Parks or College Campus environments and can be scaled in the other direction and taken wider across entire counties or even countries. The rules and methodologies are the same. The only difference is the wireless technology deployed. 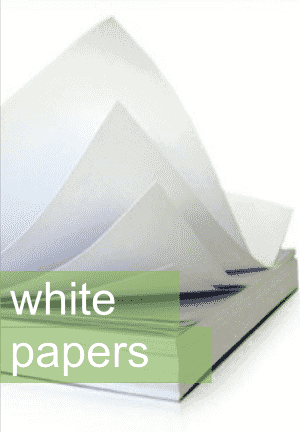 This document is designed to compare the traditional Fixed-Line implementation costs and timescales in comparison to that of a dedicated wireless circuit between two points delivering the same or better bandwidth. Local Government Regeneration schemes and Private Developers are building Business Parks on reclaimed ‘Brownfield’ land and on the fringes of towns and cities. This has the advantages of providing a pleasant, semi-rural environment in which businesses can grow and ensures that vehicle traffic flow through residential and inner city areas is reduced. Unfortunately, in a lot of cases, the telecommunications infrastructure does not exist to support these business parks / out of town businesses.